On this Celiac Awareness Day, there's no better time to celebrate the news that there are three all-gluten-free bakeries coming to the Delaware Valley. Bucks County will get its own 100% gluten-free storefront bakery this fall. 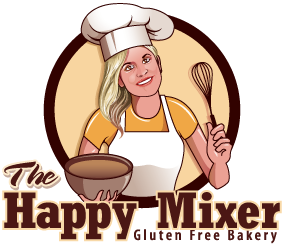 The Happy Mixer is looking at a late October or early November opening at the New Britain Village Square in Chalfont (4275 County Line Rd.). The menu includes donuts, cakes, cookies, muffins and biscotti. Pure Sweets, which I first wrote about back in February 2012, just signed a lease for 1706 Locust Street near Rittenhouse Square in Philadelphia with a Spring 2014 opening planned. 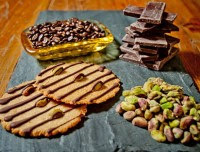 Not only will owner Andrea Kyan have a spot to vend her 100% gluten free, vegan, organic and kosher cookies and macaroons along with her new line of tonics, she'll be offering prepared food reflecting her Southeast Asian heritage. She's also considering delivery to South Jersey. Sunday is the Eagles' home opener at Lincoln Financial Field, which will for the first time have portable gluten-free stands located at Sections 108 and 220. Look for hot dogs, cookies, brownies and beer. If you spot the stands at the game, tweet your photos to @GFPhilly or post at the Gluten Free Philly Facebook page. The Mediterranean-influenced Carmel Cafe & Wine Bar opened in Wayne (372 W. Lancaster Ave., 484-580-6725) earlier this week. 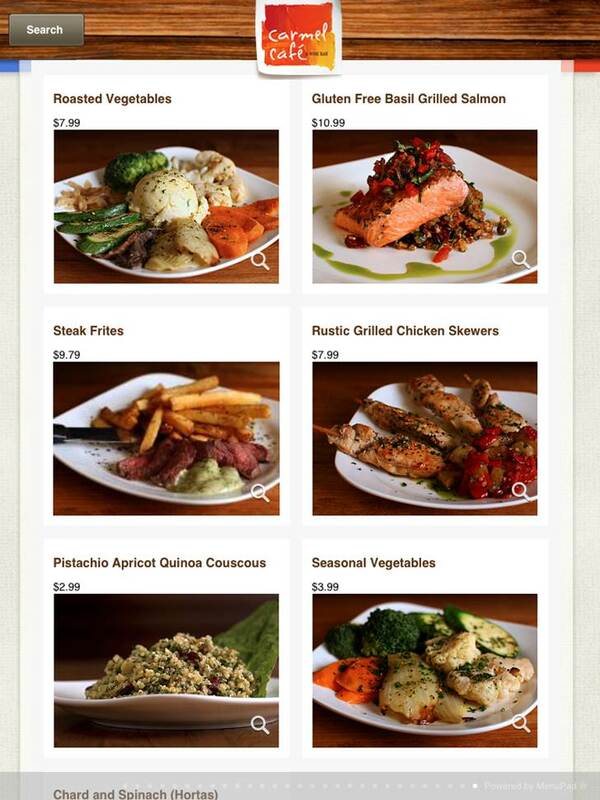 In a novel feature, diners can view photos of all menu items as well as detailed descriptions using the MenuPad app displayed on tableside iPads. 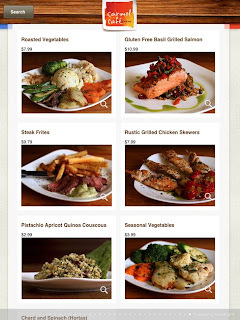 The app includes a gluten-free menu featuring basil grilled salmon, grilled chicken skewers, shrimp ceviche and pistachio apricot quinoa couscous (there's no wheat in the couscous recipe). The frites and chickpea fries are prepared in a dedicated fryer, but for guests concerned about the shared oil filtering, the fries can be pan-fried upon request. As part of Conshohocken Restaurant Week running from Sept. 16-22, Guppy's Good Times (2 Maple St., 610-828-0300) will offer an all-gluten-free $20 prix fixe dinner menu. Today is last call for Table 31 on Logan Square in Center City Philadelphia. The chic Italian restaurant offered homemade gluten-free pasta. Gluten-free baker Basic Batters will be at the Artisan Exchange Market in West Chester tomorrow and every Saturday from 10 a.m. to 2 p.m. The pizza crusts and sweets are also dairy and GMO free. 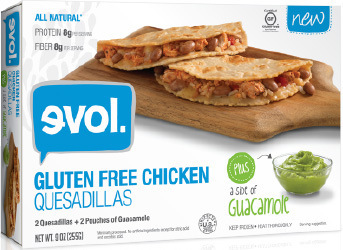 EVOL Foods has introduced gluten-free chicken quesadillas with guacamole pouches. The wraps, sold frozen, can be heated on a skillet, in a microwave or in a traditional oven. 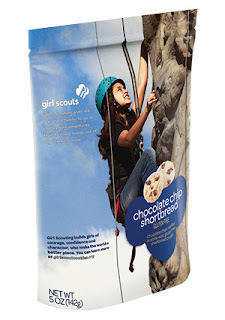 Each serving contains 8 grams of protein and 8 gram of fiber. Target stores are selling the two-to-a-package boxes for $3.99 each. Heinz's Smart Ones brand has launched a variety of soups, all of which have no gluten ingredients. 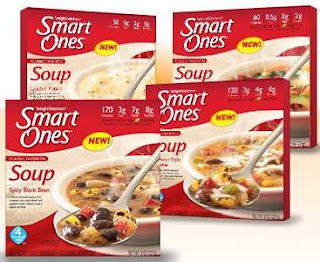 The Loaded Potato Soup, Southwest Style Vegetable Soup, Fire Roasted Vegetable Soup and Spicy Black Bean Soup are available exclusively at Target for about $1.89 a package. The Mt. Laurel Wegmans (2 Centerton Rd., 856-439-7300) is celebrating Celiac Awareness Day at the store today from 3 p.m. to 8 p.m. with gluten-free product samples, recipe information and information on celiac disease from the National Foundation for Celiac Awareness. Next Wednesday, St. Christopher's Hospital for Children in Philadelphia (3601 A St.) will be host a celiac support group meeting. Taffets owner Omer Taffet will be making gluten-free pizza and giving out recipes. The meeting is at 6 p.m. in the cafeteria and all are welcome. In my Tuesday post, I highlighted a number of other new products sampled at last weekend's Gluten & Allergen Free Expo in northern New Jersey, including Glutenberg beer. The Canadian import is available at several outlets in the Garden State, including Public Wine in Princeton (23 Witherspoon St., 609-924-0750) and Wine Legend in Audubon (100 Black Horse Pike, 856-219-3676). There are two other expos coming to the area this fall. Up in State College, the first annual Central Pennsylvania Gluten Free Expo will be held on Sun. November 10 at the Ramada Conference Center. The event will feature local and national vendors such as Udi's, Schar, Wegmans, Kinnikinnick and Tonya's Gluten-Free Kitchen, along with seminars, giveaways and keynote speaker Alice Bast, president of the NFCA. Discounted tickets are available for purchase online ($5 plus $1 service charge for adults), and children 16 and under will be admitted free. The Gluten-Free Awareness Tour event that was originally planned for Philadelphia back in May has been rescheduled for Sat. November 9 in Mt. Laurel. If you made it this far, please write in Gluten Free Philly as the best Philadelphia-area gluten-free support group in the GFREEK.com Best of Gluten-Free Philadelphia voting, along with your other favorites.